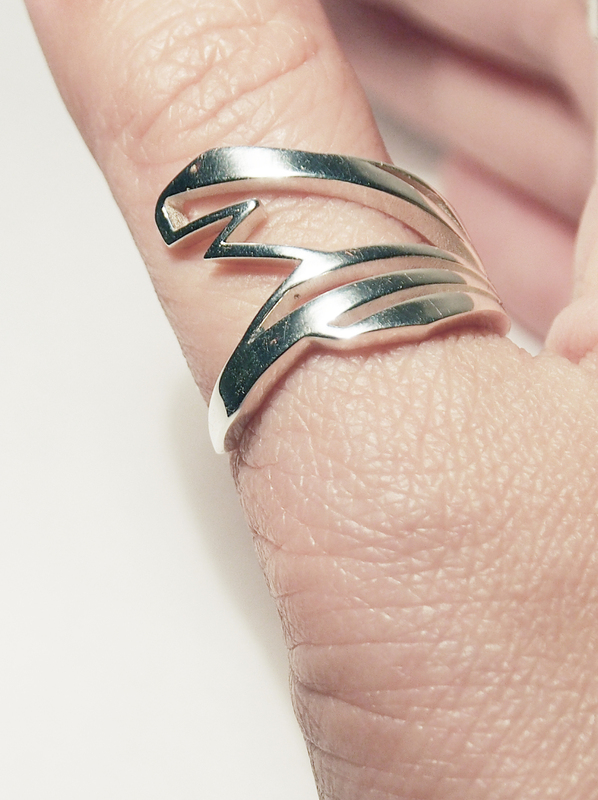 Beautiful, custom, polished sterling silver ring. 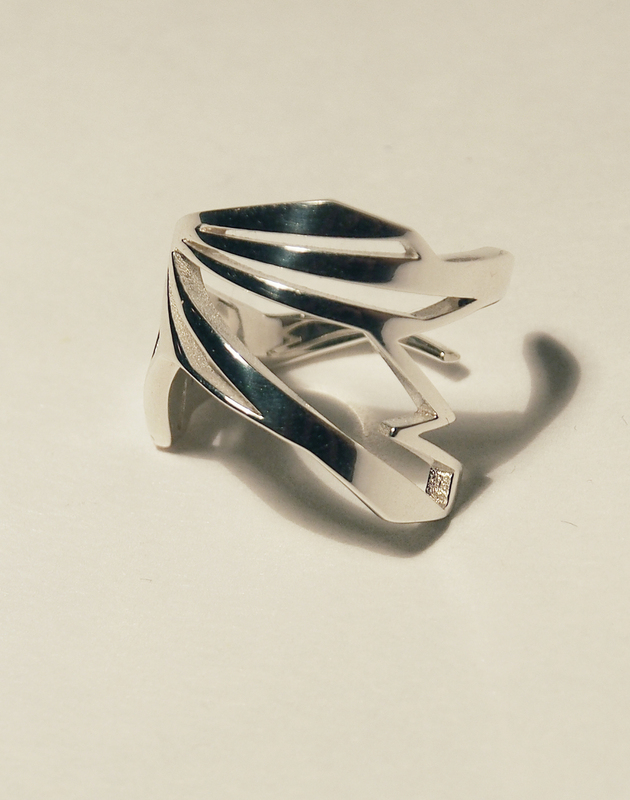 Asymmetrical, fragmented design wraps around your finger & garners a unique appearance every time you wear it--with a slight rotation the piece transforms. A perfect mix of solid and open patterning. 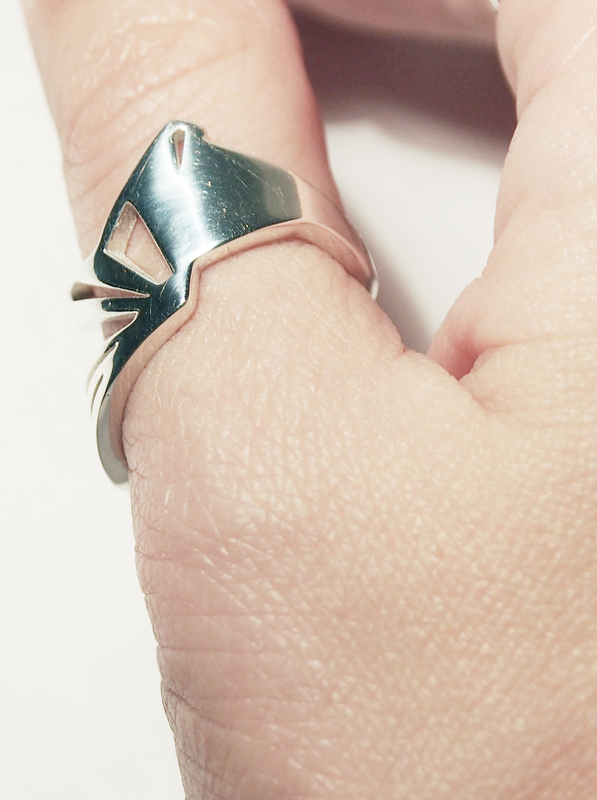 Posted on January 22, 2014 by Vivien Chin and filed under fashion, cool design stuff, handmade and tagged ring jewelry.